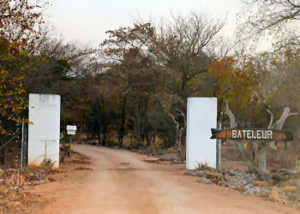 Gem Bateleur is an exclusive 10-bed self-catering lodge is situated in the heart of Hoedspruit at the Hoedspruit Wildlife Estate, one of South Africa’s most open and broad-leafed bushveld areas. 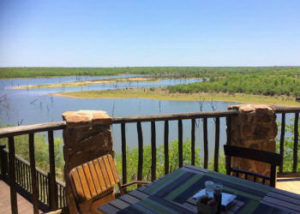 The splendour of the African bushveld and its mystical setting enfold Lodge GeM Bateleur and is the perfect base to experience exquisite bush life from. 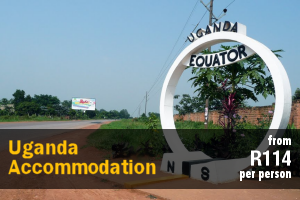 All rooms are spacious, air conditioned and elegantly furnished. 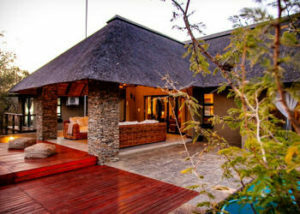 The lodge consist out of the following: Four double bedrooms (twin beds), four bathrooms, an outdoors shower and an outdoors, mosquito net-protected loft bedroom with two single beds with an outside shower which provides a refreshing wake-er-upper in a completely unique setting. 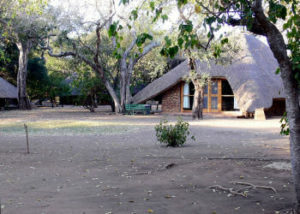 A fully equipped kitchen, dining area and living room with digital satellite television make up the main part of the lodge. The open layout brings about a cosy air conditioned living area. The main living area leads to a patio, ideal for enjoying a jovial meal outside or even sipping your morning coffee at the break of dawn. 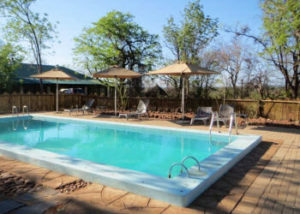 The outside barbecue (braai) area and pool form the centre point of Lodge GeM Bateleur and promises to leave a memorable imprint of your stay.The quaint swimming pool is perfect for cooling down on a typical scorching bushveld day. 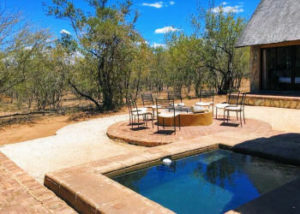 On the estate you will discover a hide offering a safe view over the waterhole where you can catch a glimpse of the animal in their natural feeding habitat. Plenty of other services are offered. 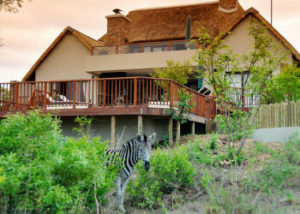 There is a number of wildlife to be seen in the Hoedspruit Wildlife Estate. Warthog, Impala are amongst the many other wildlife that leisurely co-exist here and are frequent visitors to the lodge. 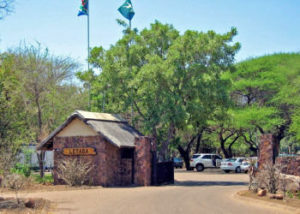 Several waterholes provide a window from where visitors can observe the activities of birds and wildlife. 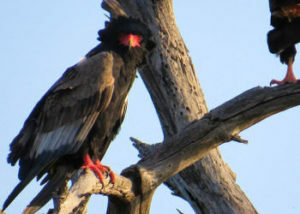 More than 400 species of birds, including many raptors and vultures, can be spotted on the estate or in the area. 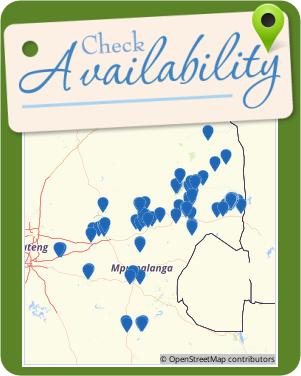 A birding and field guide lives is available for birding safaris in and around the Estate. Inquire about this. 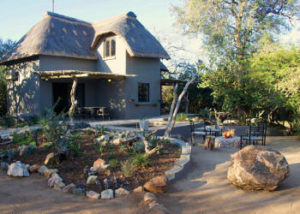 Woodlands Bush Lodge offers comfortable self-catering accommodation in an 8-sleeper bush lodge, situated in the heart of the secure Hoedspruit Wildlife Estate. 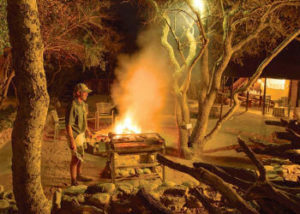 The lodge faces onto open bushlands, ensuring the ultimate private bush-living experience. The watering hole, located outside the low level game fence, keeps out the warthogs who believe the garden is an ideal al fresco dining area. 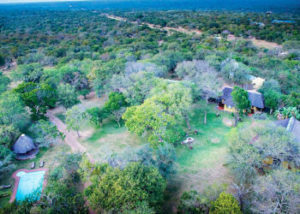 Within the lodge environs, guests can swing under the trees in a hammock for 2, cool off in the swimming pool, enjoy the view from the patio, or relax in the lounge with a good book. 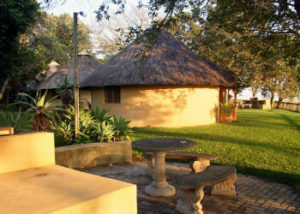 The lodge comprises 4 air-conditioned bedrooms and can accommodate up to 8 guests in 2 queen-size beds and 4 single beds. The 4 bathrooms are separate from the main living area. 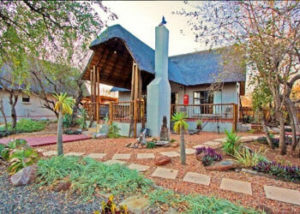 Both open and covered braai areas are available, as well as a fully fitted and equipped kitchen, including a dishwasher. 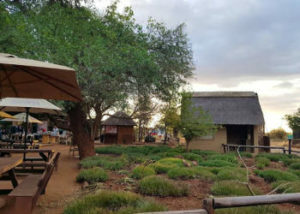 The lodge is also equipped with a full DStv bouquet package, as well as electrical mosquito repellents, anti-mosquito lotions and citronella candles for sitting outside at night. 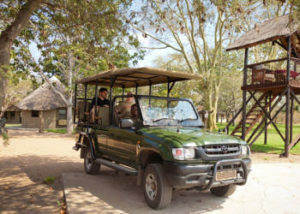 On the estate, there are varied game drives and cycle routes, and dams and watering holes with hides from which to view the free roaming animal population of Impala, Kudu, zebra, giraffe, warthog, Eland, wildebeest, and waterbuck, just to name a few. There are also over 170 species. Your hosts reside on the estate and are available to advise on local conditions, good restaurants, and local events to help maximise your enjoyment. 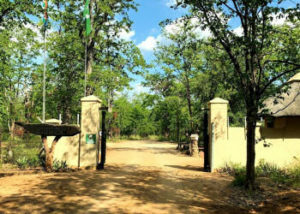 Acitivies in the area include; fishing and boating on Klaserie Dam and Blydepoort Dam, game viewing excursions, white water rafting on the Blyde River or in the Olifants Gorge, and the option of 2 golf course, Hoedspruit Drakensig which is a 9-hole course, and Hans Merensky which is an 18-hole course. Flying safari’s are are available locally. 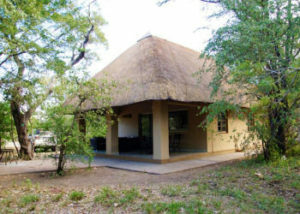 Kataza Bushveld Chalet is located on 10-hectare wildlife farm, with numerous game lodges in the area. 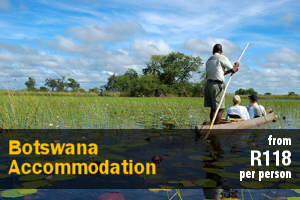 One can hear the sounds of wildlife like lions and hyena. 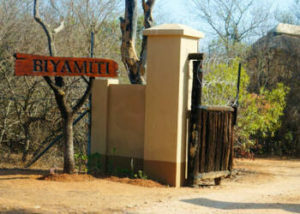 It is safe for hiking and mountain biking while viewing animals like impala, nyala, giraffe and buffalo next to the fence. The African wildcat, small-spotted genet and porcupine may visit you during the night. 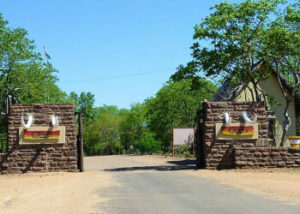 The town of Hoedspruit is located 30 km north. 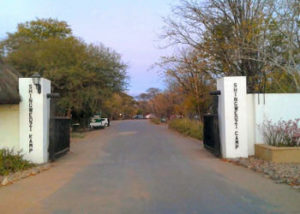 Kataza is 5.2 km east on the tarred Guernsey road. 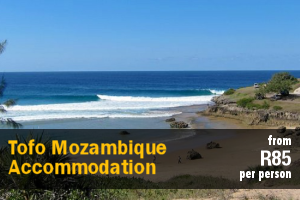 This 2-bedroom self-catering chalet is able to accommodate 6 people and has 2 bathrooms. The main bedroom has a king-size bed a sleeper couch, and an en-suite bathroom. The second bedroom has a double bed. The en-suite bathroom has a bath, while the second separate bathroom has a shower. 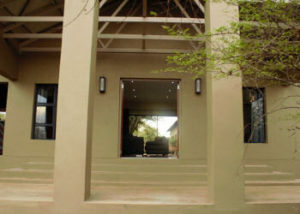 There is a nice covered verandah in front of both independent rooms with kitchen facilities and outdoor seating, which is the perfect sundowners. 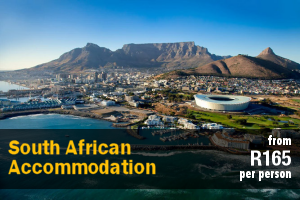 The main bedroom has a living area which has a TV with a DStv access point, should you wish to bring along your own standard decoder and smart card. 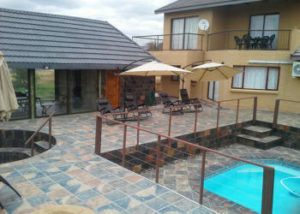 There is a splash pool for warmer days and braai facilities. 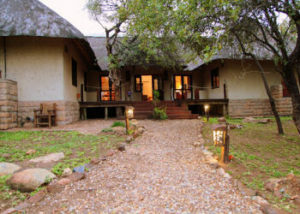 Superb location close to the ‘Orpen Gate’ of the Kruger National Park, the Panorama Route which encompasses the Blyde River Canyon, and the bustling tourist town of Hoedspruit. 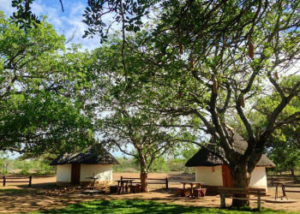 Nestled inside the Guernsey Private Nature Reserve, Kingfisher Creek offers comfortable accommodation for the traveller who is looking to escape the stresses of busy city life. Abundant birdlife in the mature garden, together with the gentle sound of the water fountain flowing… this is escapism at its best. 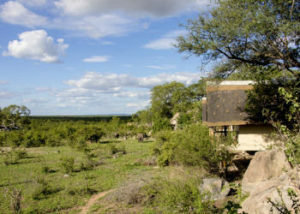 Sit in your private boma which overlooks the animals making their way to the water trough for an afternoon drink. 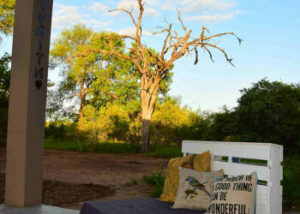 As the sun sets over the reserve, have a gin & tonic and listen to the sounds of the bush. 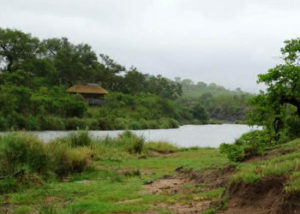 On occasion, the lions on the neighbouring Thornybush can be heard calling . 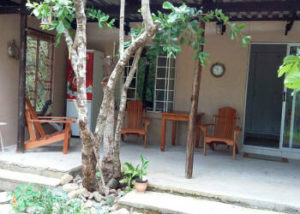 The cottage consists of two bedrooms with their own private bathroom. The master bedroom has a king sleigh bed and the second bedroom has a queen bed and a single bed. 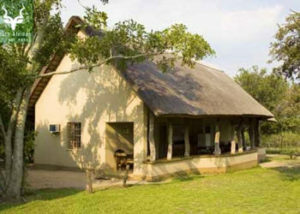 The kitchen is well-equipped for self-catering and is open-plan to the lounge area. A thatched roof provides shade from the heat and ensures outdoor dining is available throughout the year. 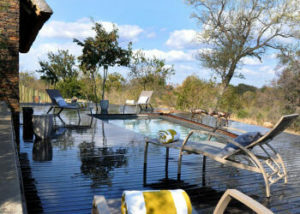 The private boma comes complete with a picnic bench, built-in braai, a firepit and built-in seating. 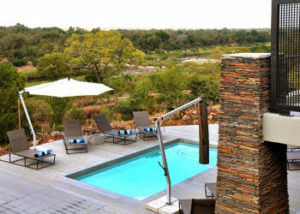 The braai area looks out onto the bush where giraffe, zebra, antelope and the occasional buffalo can be seen grazing. 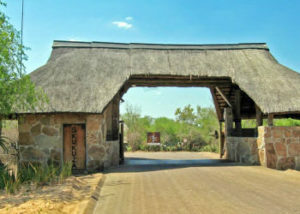 Situated near Hoedspruit, on a private game reserve, Bona Ntaba Lodge offers guests the experience to enjoy the ambience of the South African bush at a tranquil lodge. 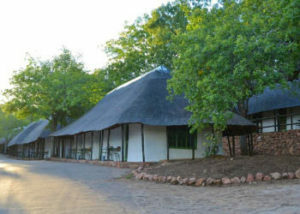 The lodge offers 4 unique self-catering tree house chalets, as well as a central communal building. One of the tree houses has its own private kitchen and boma. 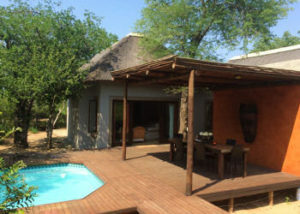 The tree house chalets can be booked separately, or for a completely private holiday, they can all be booked together. 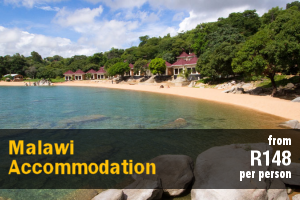 The chalets are furnished with twin or king-size beds. Each chalet also has an en-suite bathroom with a bath as well as an outside shower. Linen and mosquito nets are supplied and the windows have screening and coverings. 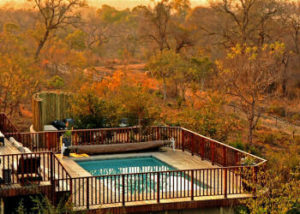 Each unit has a private deck which offers lovely views of the mountain range, sunset, and bush. 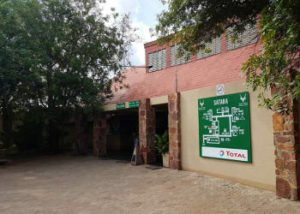 The units are serviced on a daily basis. 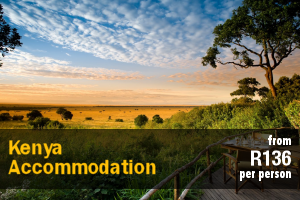 We are situated in a nature conservancy and giraffes, zebra and other plains game roam freely around the camp. 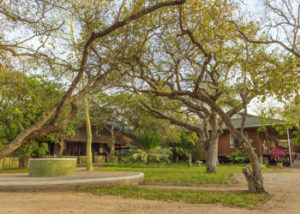 The central lodge is shared between the tree houses and consists of a fully equipped huge kitchen with a lockable cabinet and a refrigerator for each tree house, as well as a lounge and dining area. 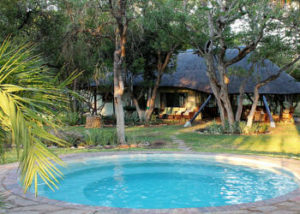 The boma with a braai and a splash pool with sunset deck is also located at the central main building. 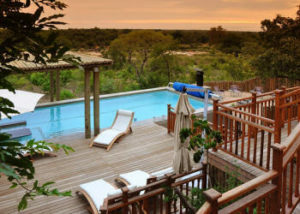 Guests can watch spectacular sunsets over the mountains while wildlife roams around the camp and visits the watering hole in front of the deck and pool. 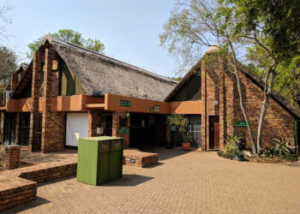 SANParks Shipandani Sleepover Hide in the world-renowned Kruger National Park is situated approximately 3 km south of Mopani on the Tsendze River, and is a unique accommodation facility where guests can feel part of the nature. 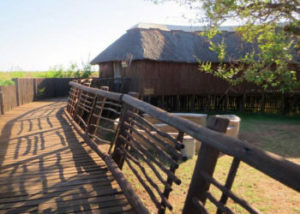 A bird hide by day, it transforms into a primitive overnight dwelling by night, where a select few can experience the Kruger National Park nightlife first hand. 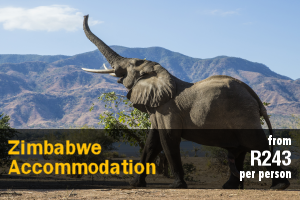 Large buffalo herds and many elephant bulls frequent the area metres away from where you are sleeping. 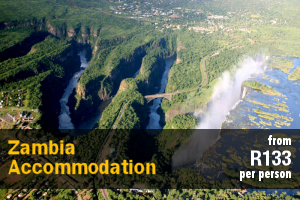 This is your chance to experience Africa in its truest form. 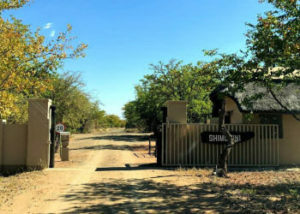 The Shipandani Sleepover Hide offers a unique, exclusive and private overnight experience for a minimum of 2 guests and a maximum of 6 guests at a time, available to guests from half an hour prior to gate closing times. 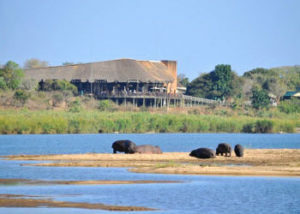 The hide must be reserved in its entirely, and must be be vacated half an hour after gate opening times. 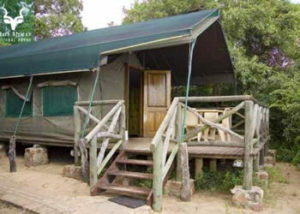 The Shipandani Sleepover Hide has a boma with braai facilities. There is no electricity but 2 rechargeable lamps, that operate for about 5 hours, can be provided on request. No cooking utensils or any other cooking equipment is provided. Eating utensils such as cutlery and crockery are provided for. Only the very perimeter of the facility is fenced.